High-Density Power Distribution The Switched CDU’s combine remote conguration and management with power distribution and power and environmental monitoring. Reboot a single or dual-power server with one command. Receive SNMP alerts when power or environmental conditions exceed thresholds. Assign users specic access rights to designated outlets or groups. 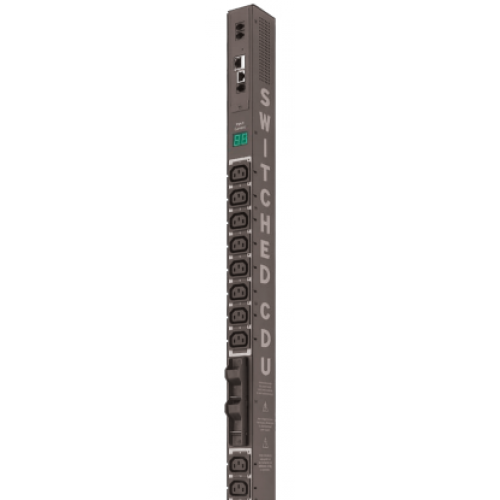 Only the Switched CDU products provide the exibility needed for all data centers and remote sites, including power requirements for high-amp, high voltage; UL 60950-1 branch circuit protection; SSL & SSH security; and SNMP-based input current monitoring. Input Current Monitor: Precisely measure the aggregate current draw (in amps) on each power circuit. On-site verication of the input current with the LED digital display. Remote verication via browser or serial screen. The Sentry CDU Family meets the new UL 60950-1 requirement for branch circuit protection. Attention! The Sentry CDU products meet the above criteria by providing overcurrent protection with UL-listed Bussman SC fuses for each branch circuit. The CDU’s exclusive True RMS current monitoring is critical to preventing overloads in high-density computing environments. LED digital displays on the CDU enclosure report the input current of each phase or branch circuit. The Switched CDU supports two external probes. Each of these probes measure both temperature and humidity. Receive SNMP-based alert notifications when conditions exceed defined thresholds. EMCU-1-1B allows up to (2) additional temperature & humidity probes, (1) water sensor, (4) dry contact closures, (1) analog-to-digital contact sensor. Includes (1) temperature/humidity probe with unit. 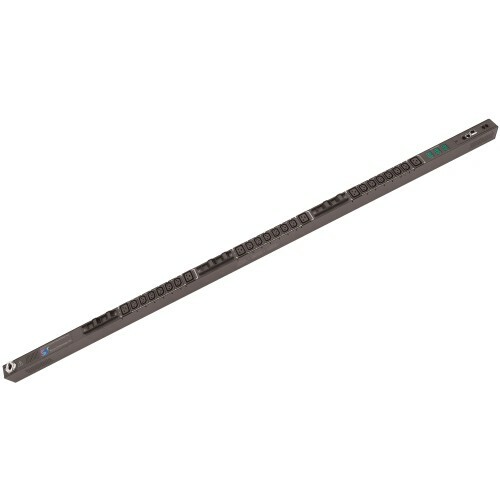 The Sentry CS-12HD2/E products provide twelve IEC 60320 C19 outlets for high density applications found in data center cabinets. Smart Cabinet Distrib..